and texture to the door and window frames! and even a visiting bunny! This is a lovely mini to play with. It looks great with the fabrics you selected. They all look very different on the site. Several in a row would look great, too. Love your version and the other ones on the site. You definitely would have a love of fun with this pattern. Home sweet home!! 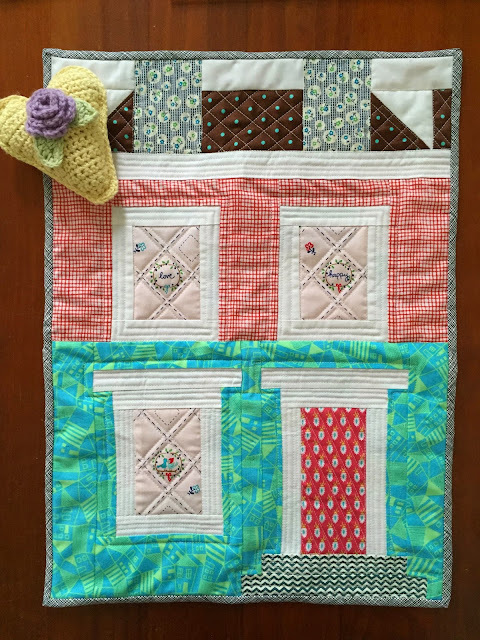 Such cute fabrics and I love the added detail your quilting added . 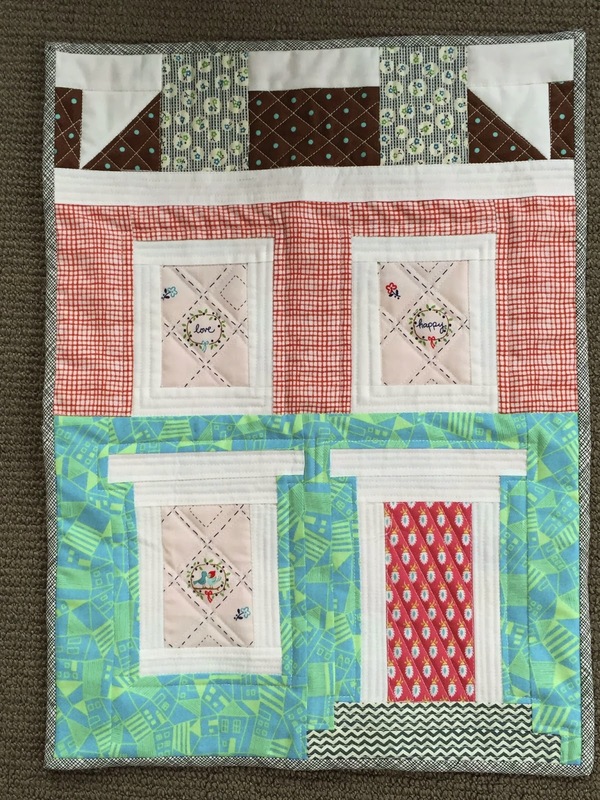 That block is slightly different from the usual house blocks, reminds me a bit of a Georgian mansion, you have been enjoying yourself testing the pattern. How gorgeous! My sister's house in London looks a lot like that - I might just have to put it on my list of patterns to make! You have really been a busy girl, Miss Susan! Cute, cute!! Such a lovely house/mini. Still waiting for my Quiltmania mag to arrive so I can read all about Small World. What a sweet mini! How fun to test patterns! I agree with Carla, you have been busy! I am really missing my sewing time. Too cute! I absolutely love that red door. Great choice of fabrics! I like the detail around the door - the steps and the top. It makes it far more interesting than the usual house block.